Maurice Ravel's Alborada del gracioso is the fourth movement of Miroirs, a five-movement suite for solo piano written between 1904 and 1905. First performed by Ricardo Viñes in 1906, each of the five movements is dedicated to a fellow member of the French avant-garde artist group Les Apaches. Alborada del gracioso translates to "The Jester's Aubade" and was dedicated to Michel-Dimitri Calvocoressi. It was later orchestrated in 1918. Rudolf Leopold has arranged Maurice Ravel's Alborada del gracioso for twelve celli. 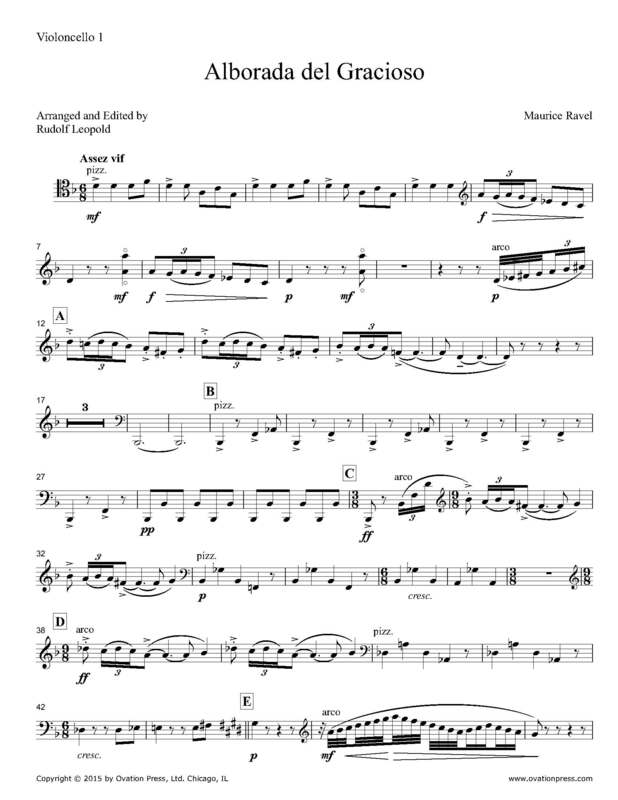 It is a technically challenging piece that incorporates Spanish musical themes into its complicated melodies.